Are you looking for window tinting near Red Bank, NJ? Tinted windows a a great asset for any vehicle. Not only are they aesthetically pleasing, but they offer a bunch of other benefits that many people don’t know about. 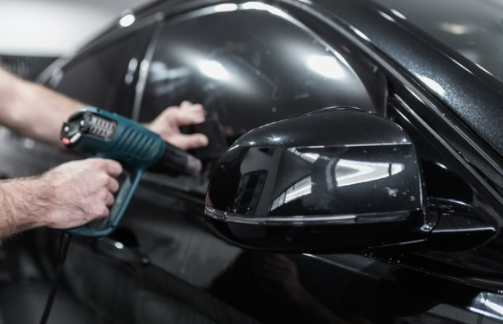 If you are on the fence about getting tinted windows and would be looking for the best place for window tinting near Red Bank, check out this article below! Your car is an investment that you want to look and work its best for as long as possible. Window tinting is a great way to protect it. It will ultraviolet rays that can fade your interior. It also prevents cracking and warping to keep your car looking newer for longer. On top of that, it will block windshield glare, protecting your eyes from direct sun and bright headlights. AutoWorks is the go-to place for window tinting near Red Bank. Tinted windows can block up to 99% of UV rays which can speed skin aging and even cause skin cancer. Even lighter tints can block out both damaging UVA and UVB rays. 53% of skin cancers in the U.S. occur on the left side of the body, correlating to the driver’s side of a car. For people who drive regularly, having window tints will provide an awesome advantage to help prevent these issues. If you find it difficult keeping the right level of AC for all of your passengers on a hot day, tinted windows can help. Depending on the grade, they can block anywhere from 35-65% of the solar heat that builds up in a car. You can balance climate and comfort and cut down fuel consumption from excessive air conditioning use. Tinted windows keep glass from shattering if an object hits it. In the event of a car accident, you’ll be protected from glass shards and being thrown through windows. An added bonus is that thieves will have much more trouble breaking through the glass of your car. Tint films come in a wide range of shading to provide a level of privacy as you go down the road. Your valuables won’t be visible to outsiders when leaving your car in a parking lot. Looking for the Best Shop for Window Tinting Near Red Bank NJ? 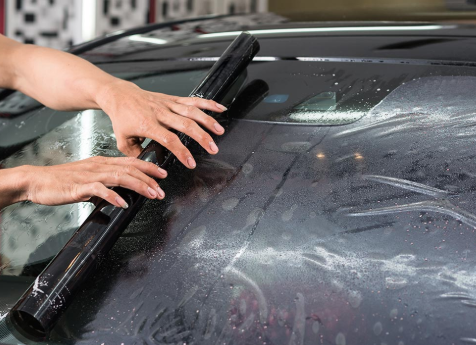 AutoWorks is an automotive electronics shop that also offers window tinting services to towns in the Monmouth County area. Service towns include: Red Bank, Middletown, Tinton Falls, Oceanport, Keyport, Keansburg, Highlands, Matawan, Long Branch, Hazlet, Atlantic Highlands, West Long Branch, Fair Haven, and many more. To learn more about our products and installation services, contact us today at 732-671-0225 or visit the website. Are you having trouble figuring out which Monmouth County NJ tint shop to use for tinting your vehicle’s windows? Choosing a window tint shop can be confusing since most will boast to be the best. However, there are major differences between tint shops and you don’t want to make a bad investment. After all, window tint is something that you have to live with for years to come. Below are some tips to help you choose an excellent tint shop in the Monmouth County NJ area. Take a close look at the tint work on other people’s vehicles. Do you see bubbles, cracks, peeling, or signs of turning purple? If not, you might want to find out where this particular vehicle was tinted and add this shop to the list of shops to visit. This is simply a starting point! You still have work to do! No website would be a definite strike against them. Quality Monmouth County tint shops are proud to display their workmanship in any way possible. The website should not only show pictures of the work, but also help to educate customers in an effort to help them make a decision. Great shops are not afraid to share information and show off their expertise. While online reviews should not be your only basis of consideration, you can usually learn a lot about the workmanship and the general business practices of the company. You should be looking for a Monmouth county tint shop with a lot of reviews and the majority being positive. Nobody is perfect and you might find some negativity. Be sure to consider how this negativity is handled. Some places to look for online reviews are Angie’s List, BBB, Google Places, Yahoo Local, Yelp, Merchant Circle, etc. Many times you can find reviews on the companies own website. Put more trust in the independent review sites since the owner has no control over those reviews. If you are still on the fence about a decision, nothing short of a visit will help you decide whether this is the right tint shop for you or not. Are the employees professional? Do they explain things clearly? How long have they been in business? How long have the window tinters been employed at this facility? These are all things that you will need to observe and ask the employees. The shop should make you feel totally comfortable in handing over the keys to your ride without any worries at all. If this is not the case, you haven’t found the right place yet. Does the tint shop stand behind its work? If so for how long? In this business, it is not uncommon to have a warranty on tint work for as long as you own your vehicle. This is important since mistakes can happen and you don’t want to be left with a poor quality tint job on your ride. Make sure you have a clear understanding of the warranty. If the shop is evasive of unclear about this, I would scratch them from your list of considerations. Looking for the Best Tint Shop In the Monmouth County NJ Area? Have you ever considered getting window tinting services? Many people see tinted windows as just a luxury for aesthetic reasons. However, getting window tinting services will give you long-lasting functional benefits to protect yourself & your vehicle. Below are some of the top reasons to look into them. Tinted windows can block up to 99% of UV rays which can speed up skin aging and cause skin cancer. Even lighter tints can block out both damaging UVA and UVB rays. Around 53% of skin cancers in the U.S. occur on the left side of the body, correlating to the driver’s side of a car. For people who drive regularly, getting window tinting services will provide a great advantage to help prevent these issues. Getting window tinting services is a great way to protect it. Tinted windows blocks UV rays that can fade your interior. 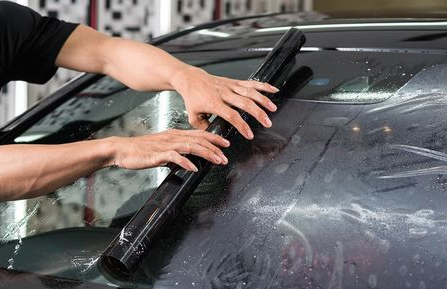 It also prevents cracking and warping to keep your car looking newer for longer. Tinted windows will also block windshield glare, protecting your eyes from direct sun and bright headlights. If you’ve had trouble maintaining the right level of AC for yourself and your passengers, tinted windows can help! Depending on the grade, they can block anywhere from 35-65% of the sun’s heat that builds up in a car. You can balance climate and comfort and cut down fuel consumption from excessive AC use. 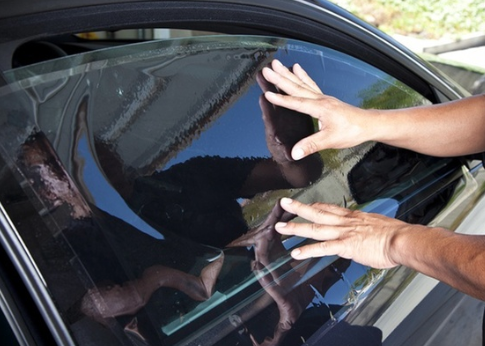 Window tinting services will keep your windows from shattering if an object hits them. In the event of a car accident, you’ll be protected from flying glass shards and from being ejected through windows. On top of that, thieves will have much more trouble through tinted glass and get into your car. Films come in a wide range of shading to provide a level of privacy as you go down the road. When you park the car, you can walk away and knowing that your valuables inside are not visible to passerby’s. 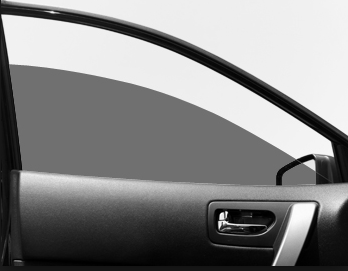 Looking for the Best Window Tinting Services in Monmouth County NJ? 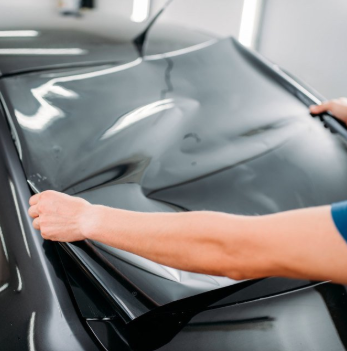 AutoWorks is an automotive electronics shop that also offers window tinting services to towns in the Monmouth County area. Service towns include: Middletown, Tinton Falls, Oceanport, Keyport, Keansburg, Highlands, Matawan, Long Branch, Hazlet, Atlantic Highlands, Aberdeen, Shrewsbury Twp, West Long Branch, Fair Haven, and many more. To learn more about our products and installation services, contact us today at 732-671-0225 or visit the website. Window tinting can have multiple benefits for you and your vehicle. The most commonly known materials to tint windows with include polyesters, dyes and metal. However, an increasingly popular option that is being used more and more is ceramic window tint. This may seem strange because ceramics are used to make completely opaque objects such as ceramic artwork, electrical conductors and optics. However this new technology has proven to be the best quality of window tint. Ceramic window tint is a type of tinting film that can be applied to any kind of window. Unlike other films, it is not made of metal nor is it dyed to be a darker shade. This means that this film is both non-metal and does not conduct. Instead, the it is imbued with small, ceramic-based nanoparticles. Since these particles are so small, they are actually not visible to the naked eye. This allows for a ceramic window tint that is completely clear, allowing a greater level of visibility both during the day and the night. 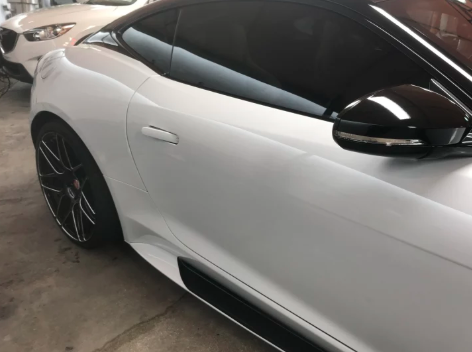 What are the Advantages of Ceramic Window Tint? 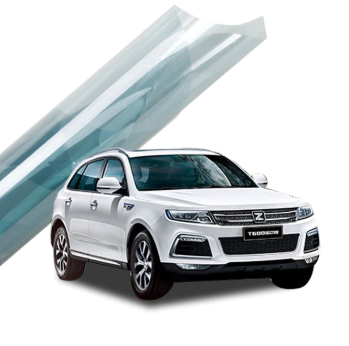 While the benefits are similar to those of conventional film, there are added benefits that come with ceramic window tint. Because other types of film tend to have their color fade over time, they look less appealing with long-term wear. Ceramic window tint will look like new for a long time. Ceramic window tint blocks about 99% of the UV rays that penetrate windows. UV rays are are harmful to the skin and can contribute to wrinkling, sun damage and the development of skin cancer. Infrared light is a type of wavelength that’s part of the everyday spectrum of waves that we are hit with with each day. This type of electromagnetic radiations is not visible to the naked eye, but is perceived by human as is the ray that causes the feeling of heat. Ceramic window tint greatly assists in blocking infrared rays that penetrate windows. This causes a reduction in solar heat, leaving the interior feeling cooler. Many metal-based films interfere with the functioning of electronic devices such as GPS systems, cellphones and radios by blocking or disrupting the radio and electronic waves that help these devices to function. Because ceramic window tint is completely metal-free, it allows for the max efficiency of the of electronic devices. Looking to Have Ceramic Window Tint Installed?